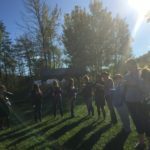 A Forest for Every Classroom (FFEC,) is an award-winning professional development program for K-12 teachers of all disciplines, offering stimulating, thought-provoking experiences designed to refresh your mind and passion for teaching! 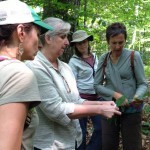 Across habitats and through the seasons, educators learn how to “read”–and teach–in the landscapes of Vermont from some of the best education and natural resource professionals in the state. 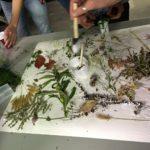 They explore how using place-based learning and education for sustainability make the Common Core State Standards and Next Generation Science Standards both more practical and meaningful.